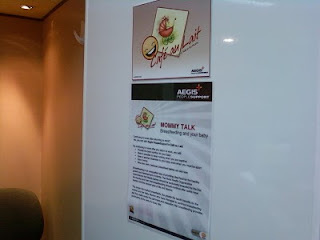 Last Tuesday afternoon (June 29), I braved the wet rainy afternoon and heavy traffic to attend the launch of Cafe Au Lait at Aegis People Support. 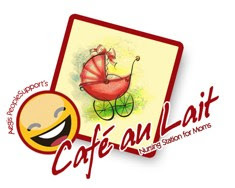 What is Cafe Au Lait? It is a "porta-let" (I know sounds gross!) type of booth which has all the trappings of a nursing station! A table, chair, electric outlet, some reading materials (even a mirror!) 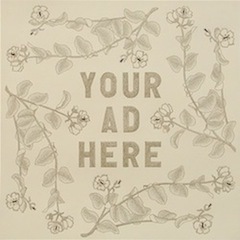 and more importantly - privacy for moms!!! It is a small booth but all the essentials are present. 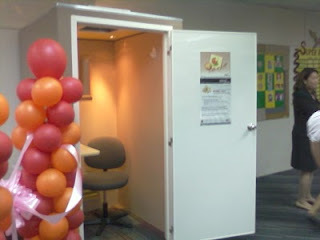 There is even a small refrigerator beside the breastfeeding station. Also, I love that management has made it really accessible for moms by providing not 1, not 2 but NINE breastfeeding stations for the employees! This means that there is at least 1 station per floor. 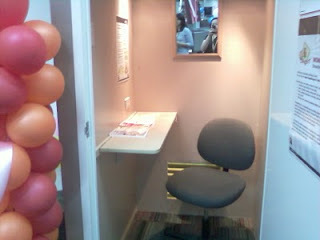 The breastfeeding station is located on the call center floor so if you have a noisy pump (like I do! ), the call center agents near the station would definitely hear the buzzing sound. I attended the launch upon the invitation of Janice Villanueva of Mommy Mundo. 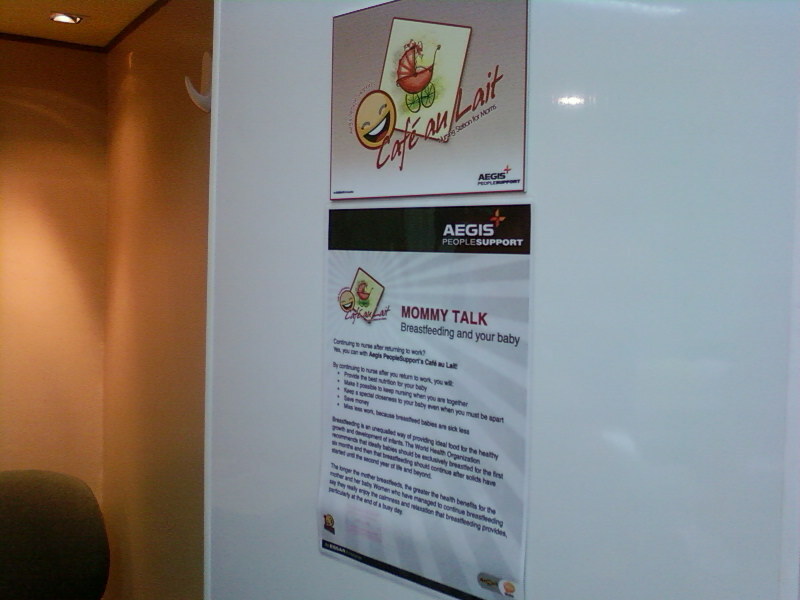 Janice helped her friend who spearheaded the Cafe Au Lait project in her company, Aegis People Support to make it a more mom-friendly work environment. Like Janice, I also believe that it is important to make companies aware about the benefits of making their work environments more mom-friendly, and how this contributes to their business' productivity in the long run. 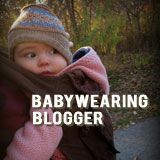 In my own workplace, I was lucky to have a very supportive management who set-up 1 lactation room, with plans to set-up another one in a separate building. I was quite late during the launch (it took me 1.5 hours from Manila to Makati that afternoon!) and missed several parts of the program such as talks on parenting and nursing; a welcome address by Senator Pia Cayetano - author of the expanded breastfeeding law; and raffle prizes and give-aways. I did check out the mother-baby bazaar co-presented by Mommy Mundo entitled “Mompreneur Market Comes to Aegis PeopleSupport”. And I was introduced to Marixel Laxa-Pangilinan, who was very pretty and gracious in person! Thanks to Candy Cu-Yaw for the introduction. I only stayed for a short while but was glad to have attended the event. 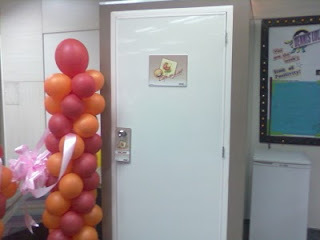 The lactation room set-up was an eye-opener and something which companies (especially those who claim that they don't have extra rooms) should consider when setting up their own programs/rooms. Thanks to Janice Villanueva for the invitation and congratulations to Aegis People Support! 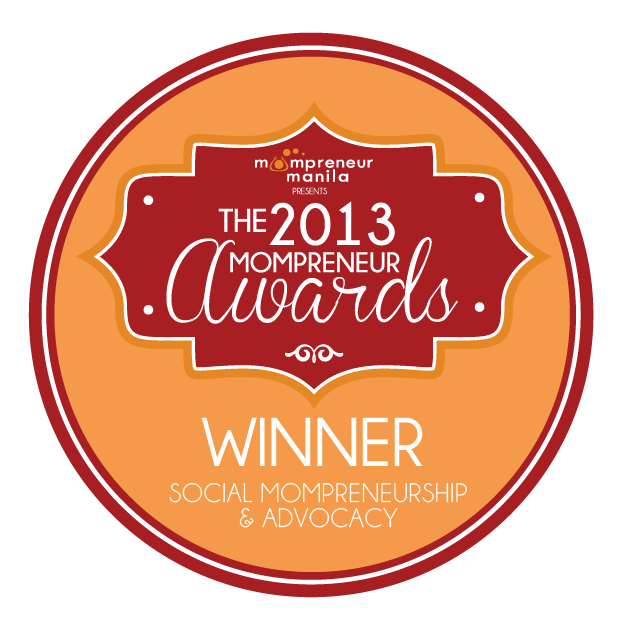 This program is defintely one that should be emulated by Philippine companies. @sadmommy - maybe you can share the aegis project with your HR group - this is something that AEGIS has over Convergys and maybe your HR could think about adopting a similar project to entice more employees!